KAR has proven its capabilities in wide scale of dierent user environments. We wanted to make it even better by improving its construction with our latest patented technologies. 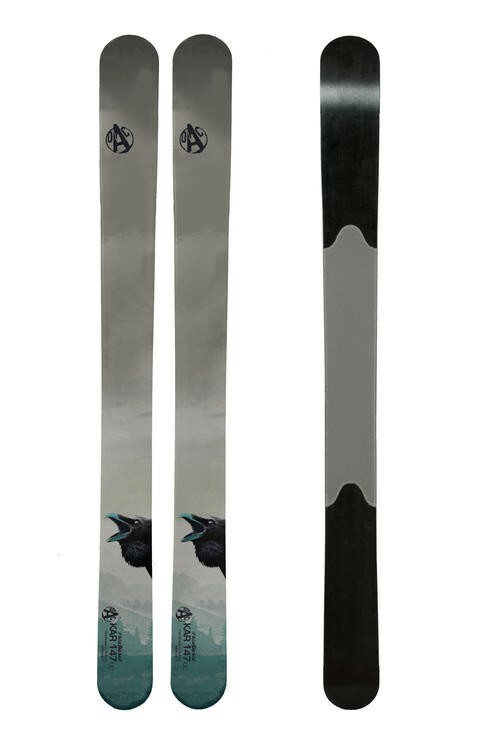 A new version of our best selling ski comes now with our revolutionary patented Unicoat technology. Unicoat is a tough and easy to care ski base construction, which we have invented. the use of latest composite materials, manufacturing methods and extensive field testing has resulted this tough and easy to maintain base. is base absorbs the liquid waxes, so you can forget about the hot iron and time consuming waxing procedure. Unicoat base is very durable but in case of damage really easy to repair. The KAR UC has an integrated skin, which is recessed to the base. Because of the skin’s shape & the high quality skin we use, the ski is competent even for freeride skiing at any slope you nd. If you like bit smaller dose of adrenalin, you can slower the speed by leaning back and taking the ski of from the fall line. is makes backcountry access possible also for beginners & recreational skiers. By having the recessed, permanent skins you can forget grip wax problems and hassle with packing the skins. Skiing uphill with KAR’s is easy! Assembled with our OAC EA binding, it is easy to use with almost any shoes available. Just step out your door, grab your KAR’s and enjoy the ride!